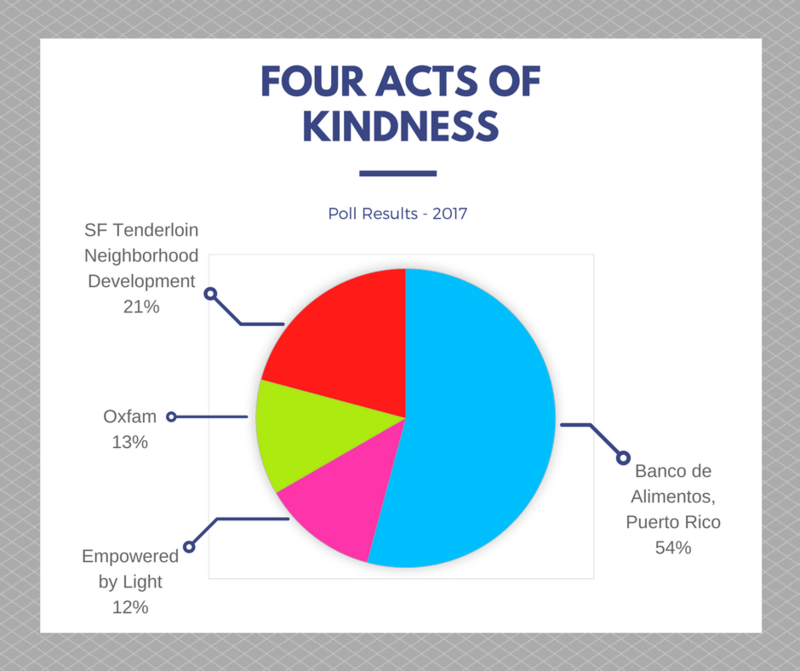 Because the goodwill of those we serve is a foundation of our success, each year we express our gratitude with our “4 Acts of Kindness” tradition. We recognize the importance of sharing our prosperity to help support those who are striving to make the world a better place for themselves and others. This is especially apparent this year in the face of the disasters that affected so many people both close to home and abroad. We thank you for joining us in connecting the returns of our work to the values of our hearts. 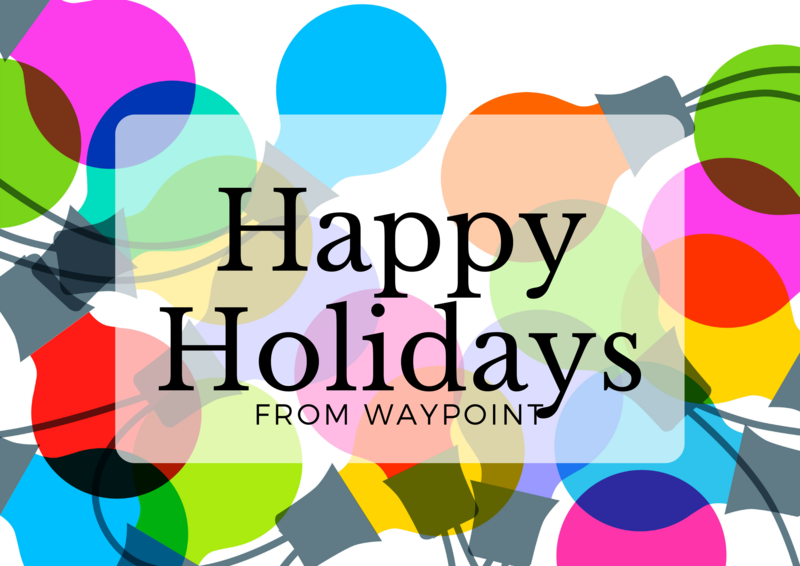 The following four organizations were nominated by the employees of Waypoint and voted by our clients and colleagues. These reflect the causes that matter to us. The Food Bank of Puerto Rico, is a private non-profit organization helping provide urgently needed food and support for survivors of Hurricane Maria. 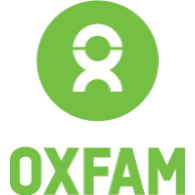 Oxfam is a global organization working to end the injustice of poverty. Their mission is to tackle the root causes of poverty and create lasting solutions. The Tenderloin Neighborhood Development Corporation provides safe, affordable housing with free and voluntary on-site social services to help local residents stabilize their lives. Empowered by Light installs solar micro grids, water desalination and purification systems and water production systems to Puerto Rican fire stations and communities. Thank you for joining us to celebrate the season of giving!